That pic above comes from the 1953 edition of the Old Mr. Boston De Luxe Official Bartender’s Guide. 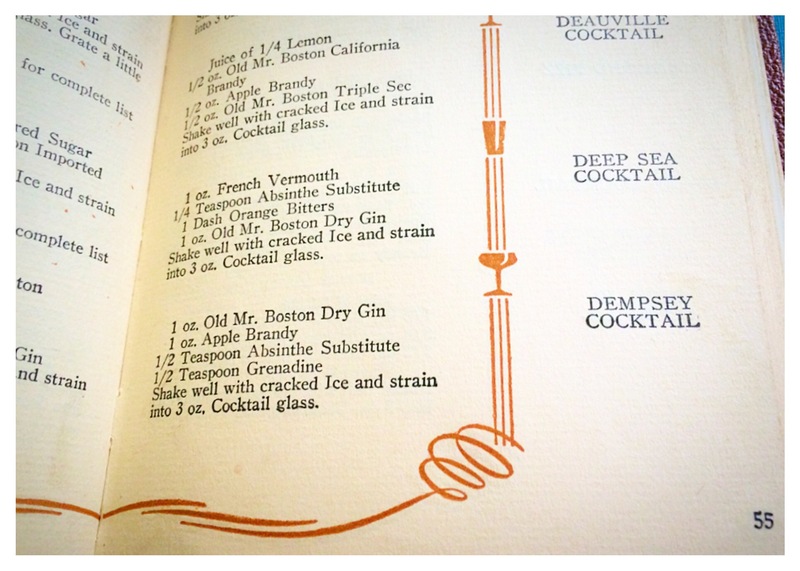 I know Mr. Boston’s not the oldest cocktail book nor the most cited, but it’s the only one I have on hand that mentions the Dempsey Cocktail. He was an American professional boxer, who became a cultural icon of the 1920s. Dempsey held the World Heavyweight Championship from 1919 to 1926, and his aggressive style and exceptional punching power made him one of the most popular boxers in history. Shake well with cracked ice and strain into a 3 oz cocktail glass. —Difford’s Guide uses rum in its “Jack Dempsey” cocktail. 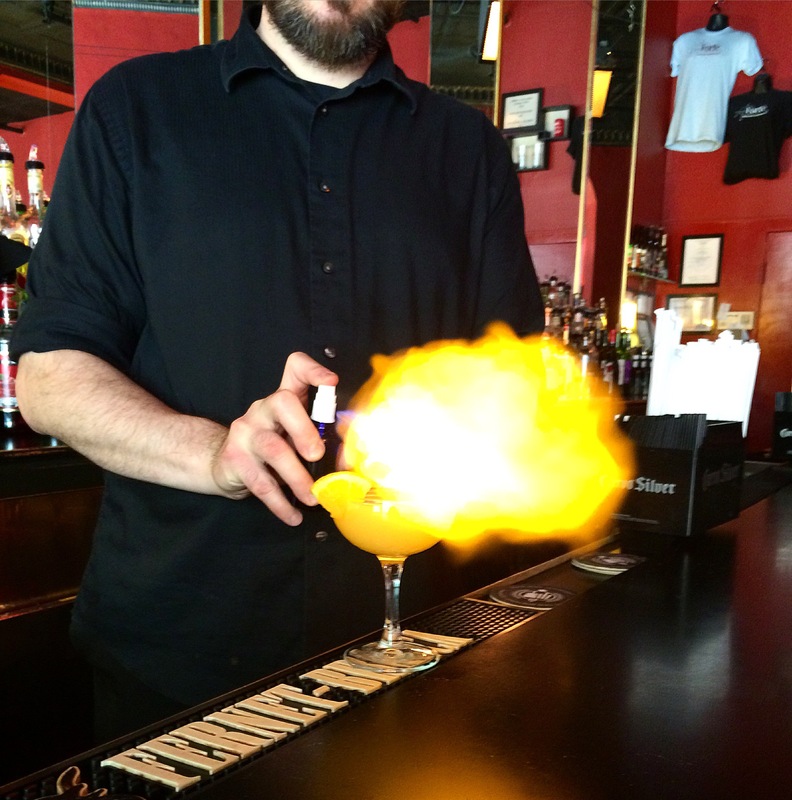 I first went to the city as a freshman in college and I’ve since been back twice, but all those trips were before I was a bartender — and long before I had an interest in classic cocktails and modern mixology. Today marks the founding of the city of New Orleans. New Orleans was founded in 1718 by Jean-Baptiste Le Moyne de Bienville. Many of the cocktails we associate with the city came some time later, but any reason to celebrate is reason enough! The Sazerac is sometimes referred to as the oldest known American cocktail, with origins in pre–Civil War New Orleans, though there are much earlier published instances of the word cocktail. Before rye whiskey, the drink was made with cognac. When absinthe wasn’t allowed, a liquid called Herbsaint was used for the absinthe rinse. Some recipes call for equal parts cognac and rye whiskey with whatever rinse is available, a blending of the original recipe and how it’s now come to be made. Chill a rocks glass. Give it an absinthe rinse, using only a few drops of absinthe! Stir the following and strain into the absinthe-rinsed glass: 2 oz rye whiskey, .25 oz of simple syrup and 2 or more dashes of Peychaud’s bitters. Rub a lemon peel around the rim of the glass and discard. The drink does not get a garnish. 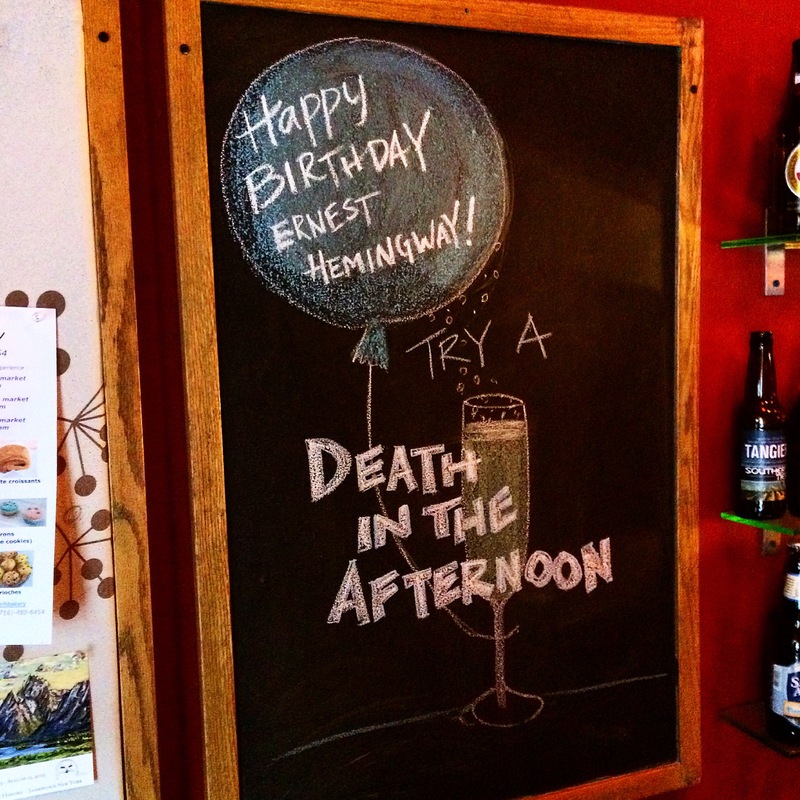 Today is Ernest Hemingway’s birthday. Talk of the man tends to go hand-in-hand with talk of cocktails and libations. 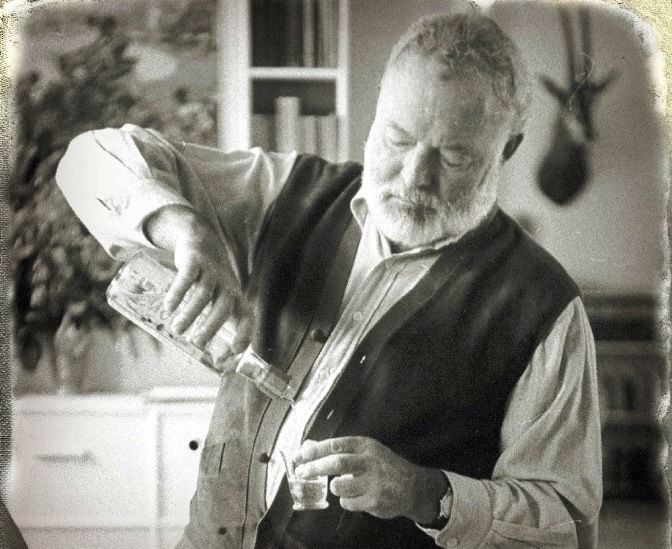 As I said earlier, I’m not a Hemingway expert, but today’s a perfect day for learning a little about the man and all the cocktails he’s associated with. Below you’ll find resources with info about absinthe and daiquiris and details debunking Hemingway mojito and Bloody Mary lore. •A Liquor.com piece from 2013. •A Food Republic piece from 2012. Today is the birthday of Serge Voronoff. Voronoff has very little to do with cocktails. 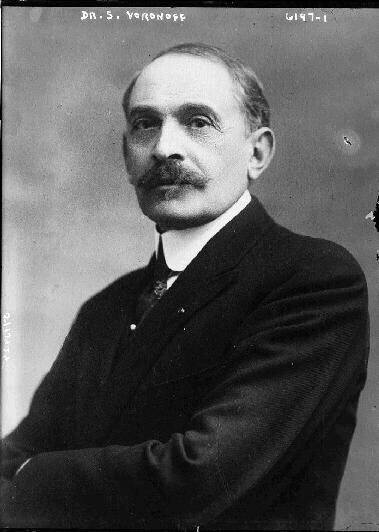 He was a doctor, a French surgeon of Russian extraction. He is best known (and really only remembered today) for one thing — a surgery he performed which now has a cocktail named after it. It is from his life’s work that today we have a cocktail named the “Monkey Gland” — a gin and absinthe delight with orange and grenadine flavors. 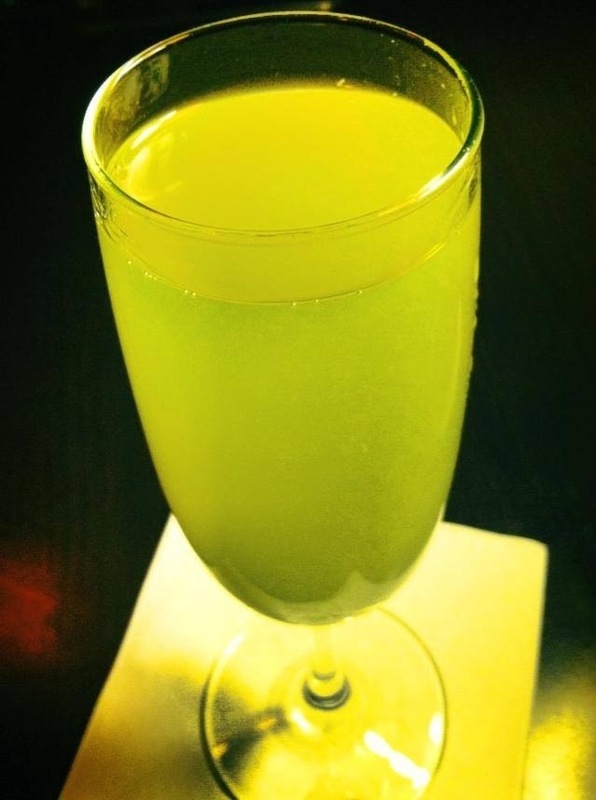 The Monkey Gland was created in the 1920s by Harry MacElhone, owner of Harry’s New York Bar in Paris, France. Shake all ingredients over ice and strain into a chilled glass. I’ve also read that the Monkey Gland was created in April 1923 by Frank Meier, at the Ritz Hotel, Paris. Absinthe and champagne! It’s surprisingly delicious, though not if you don’t like anise. 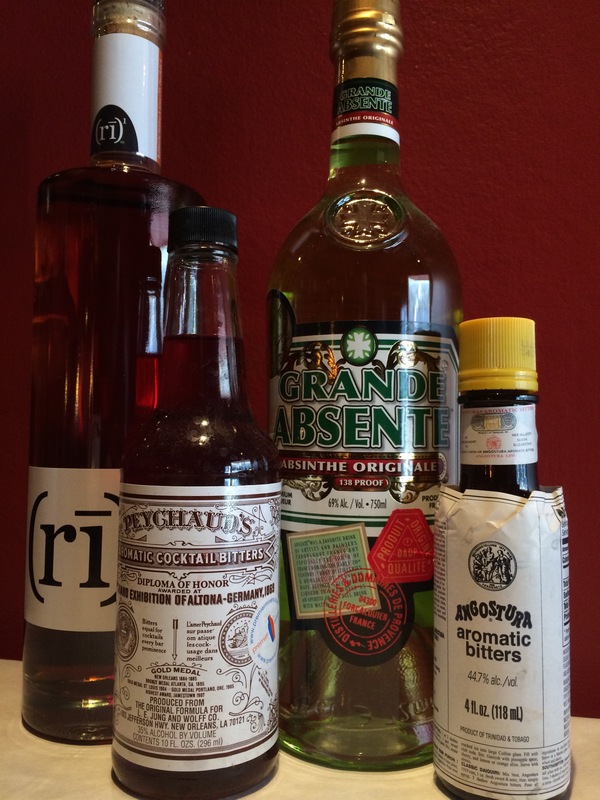 Halloween is fast approaching, so before the holiday arrives, take the time to read Alan Moss’s piece on this cocktail over at The Real Absinthe Blog. For my money though, read David Wondrich’s piece on the cocktail over at Esquire.com. The man’s always got such great stories to go along with his cocktail recipes.